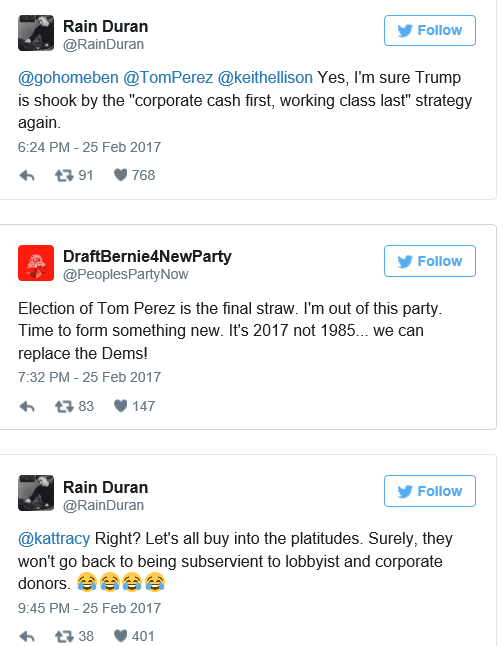 Following Donald Trump congratulated the new DNC Chairman, Tom Perez, Tom came out with guns blazing on Twitter, saying Democrats united across the country will be his worst nightmare. 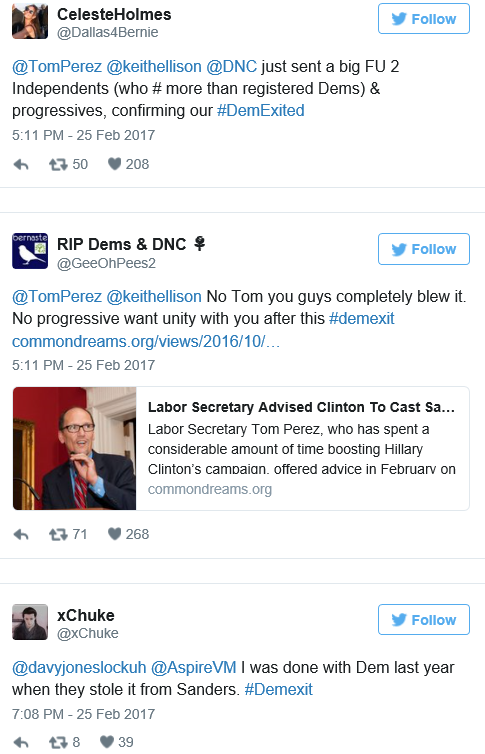 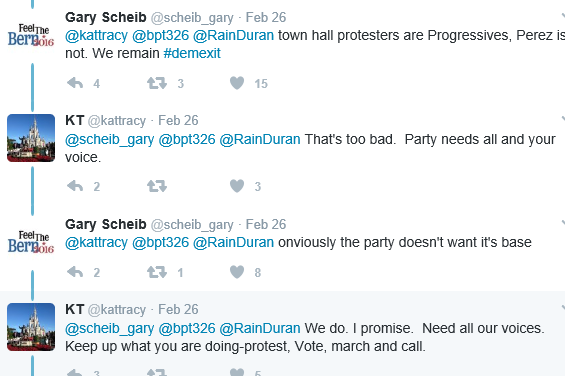 Some Democrats weren’t here for Tom’s attitude, especially Bernie Sanders’ supporters. 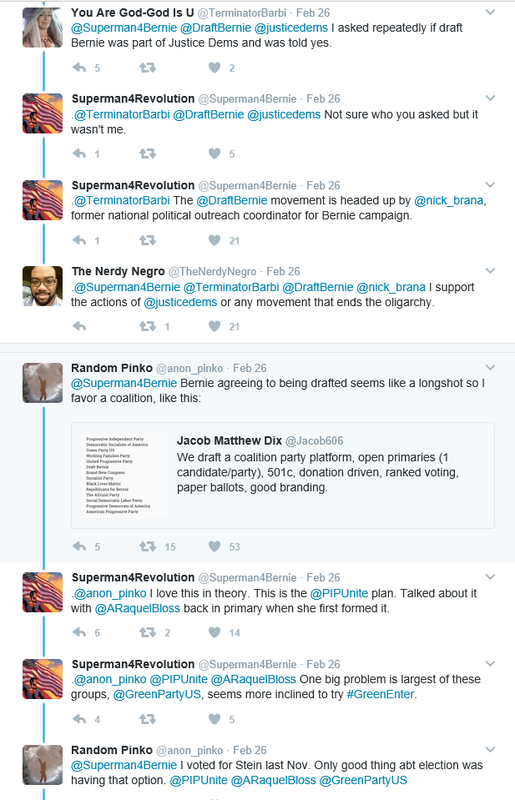 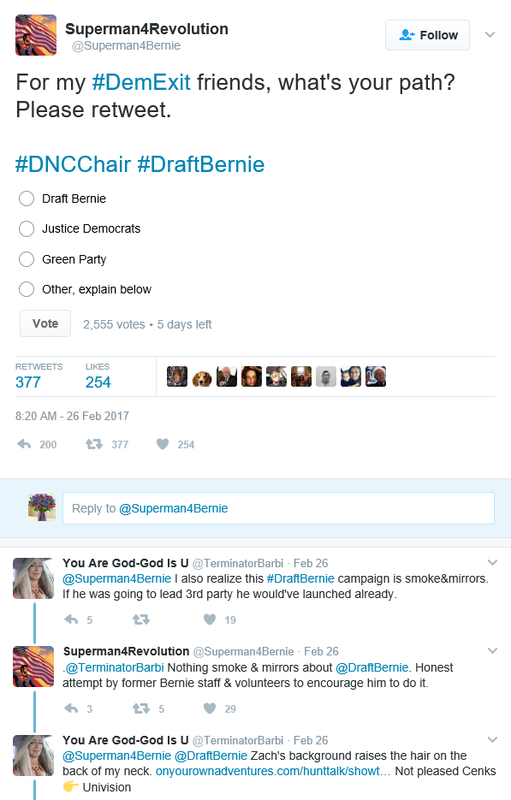 Apparently, Bernie Sanders who ran alongside Hillary Clinton for the Democratic party nomination for Presidency, wanted Keith Ellison to be elected as the new DNC Chairman, but it didn’t work in his favour. 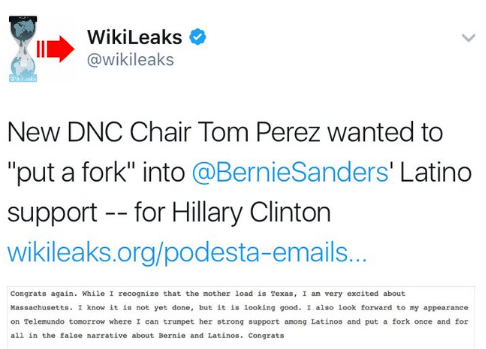 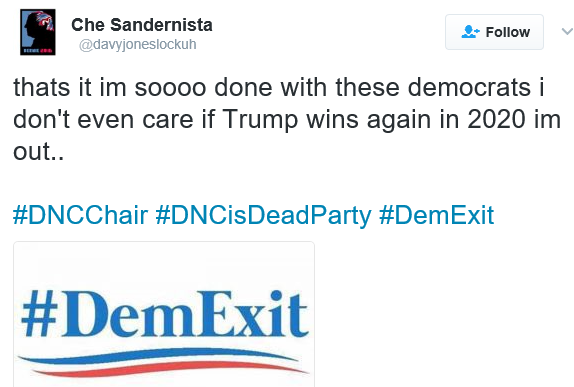 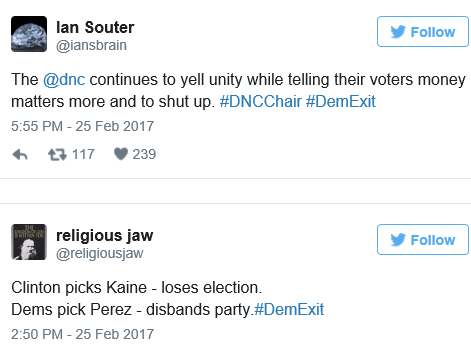 Ellison lost to Perez, but Perez made him the Vice DNC chairman. 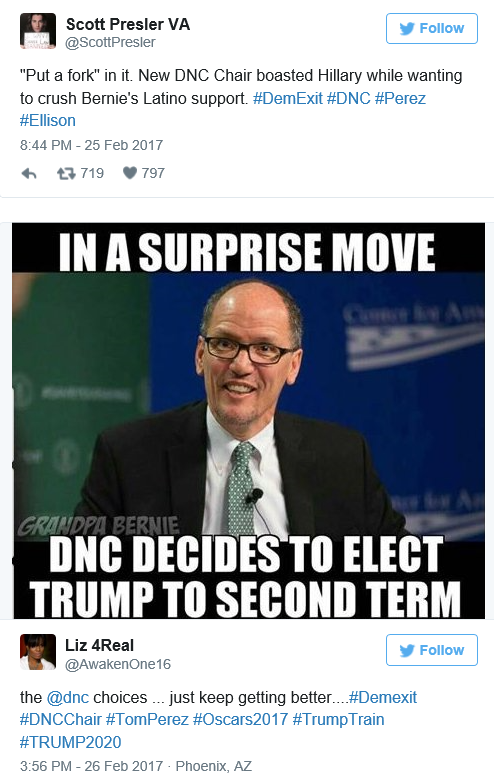 After Trump tweeted that the election was rigged in Perez’s favour, Bernice Sanders said on “State of the Union” Sunday that he doesn’t believe his candidate for Democratic National Committee chairman, Minnesota Rep. Keith Ellison, was defeated Saturday because the election was rigged, but added that the system could use some tweaking. 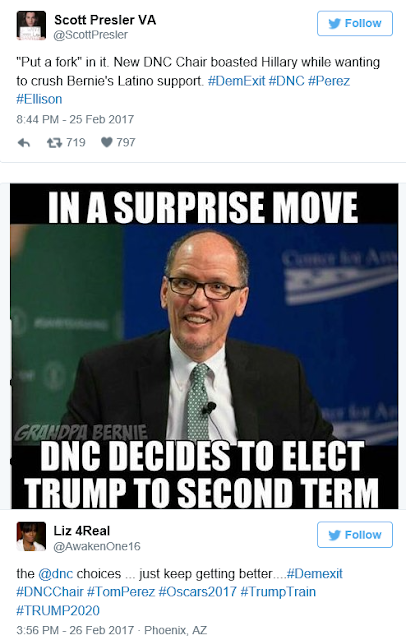 Lady Gaga shows off her engagement ring-brags about her man!